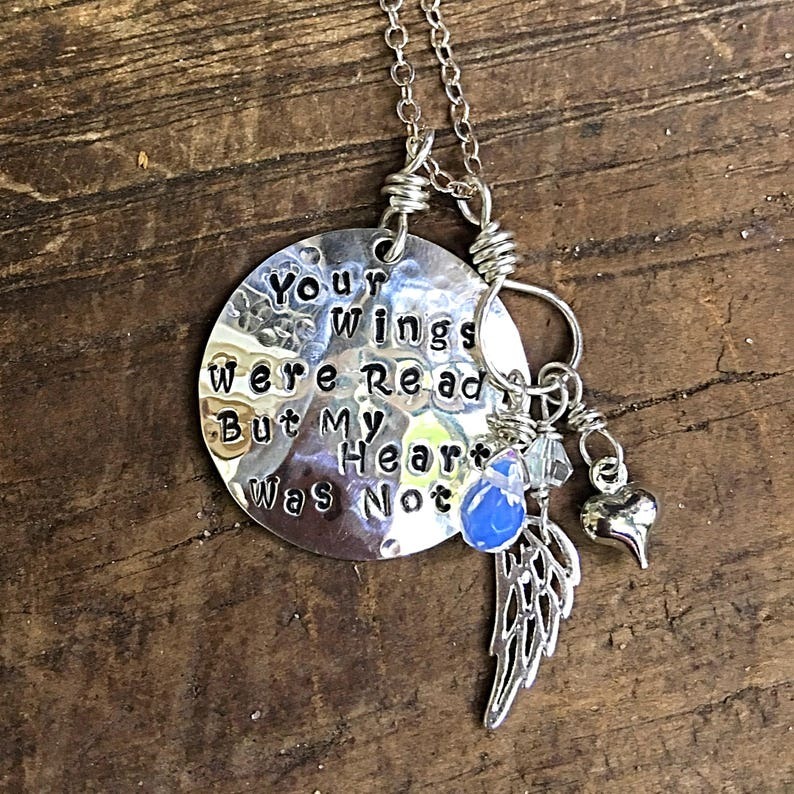 "Your Wings Were Ready But My Heart Was Not" Necklace is made of hand stamped sterling silver. 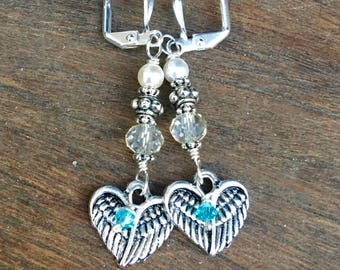 This piece is from the Mermaid Tears Jewelry "Memories of Lost Love Collection". 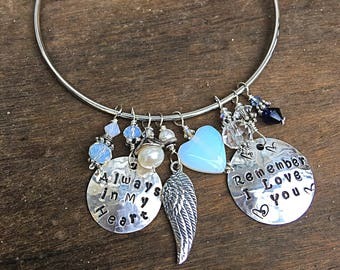 The sterling silver disc is approximately 1" This necklace is embellished with a tiny angel wing and heart charms, opalite and Swarovski crystals. 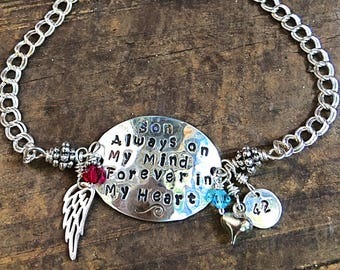 You can customize this piece with birthstones... 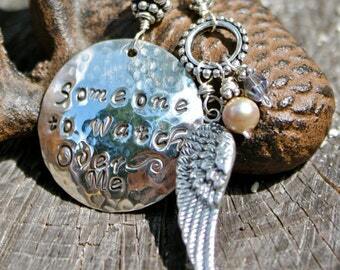 This necklace can be customized further with a small name or initial disc. (Suspended next to the main disc). ***Please note any custom requests in the message section before placing your order).